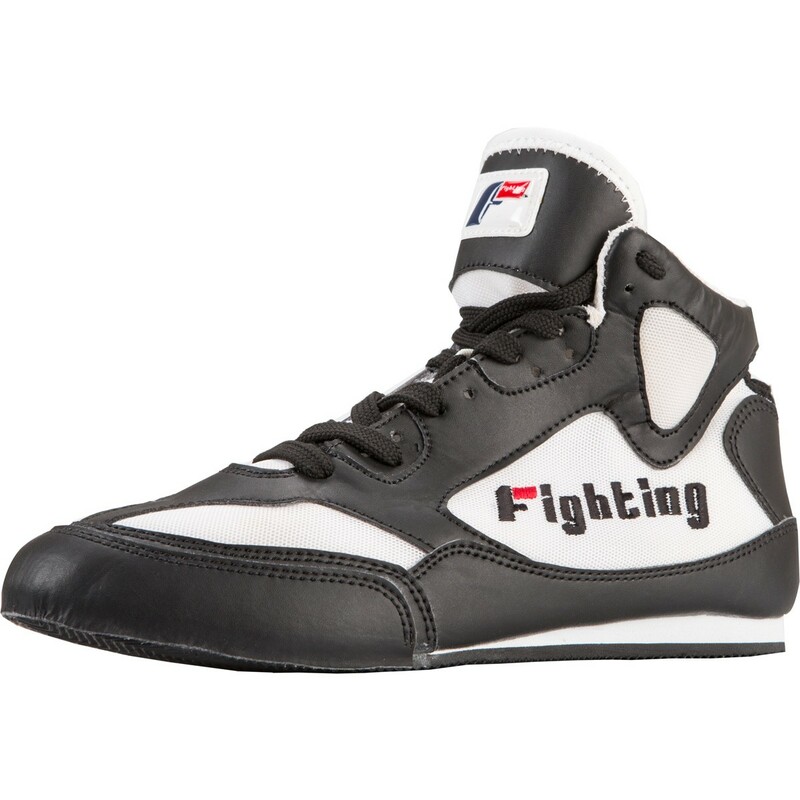 Fighting Sports unleashes the premier boxing shoe with stunning and exhilarating engineered leather upper and ventilated microfiber and mesh strategic insets for an incredible professional performance and delivery. Elite 5.5" height and feather weight are crafted for hyper speed. Added full length double-lasted mid-sole provides forefoot, heel and ankle support. 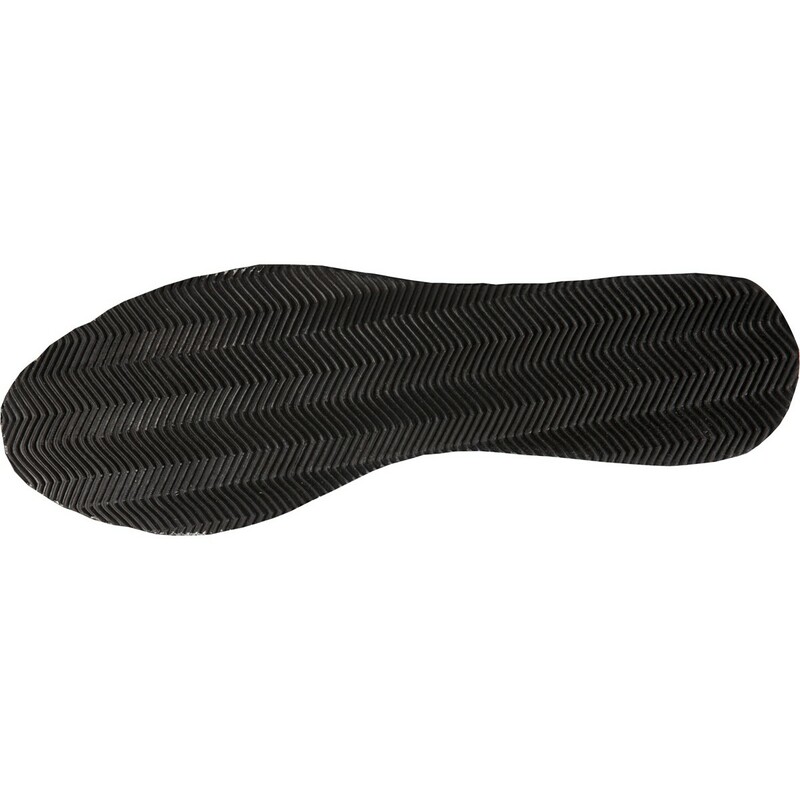 Poly-rubber zig-zag soles offer precision pivots, quick and speedy footwork and deliver intense flexibility. Full-length padded mesh tongue, rear ankle air release, dispersed microfiber in low stress areas allow for air release ventilation and help keep athlete cooler and drier during competition. 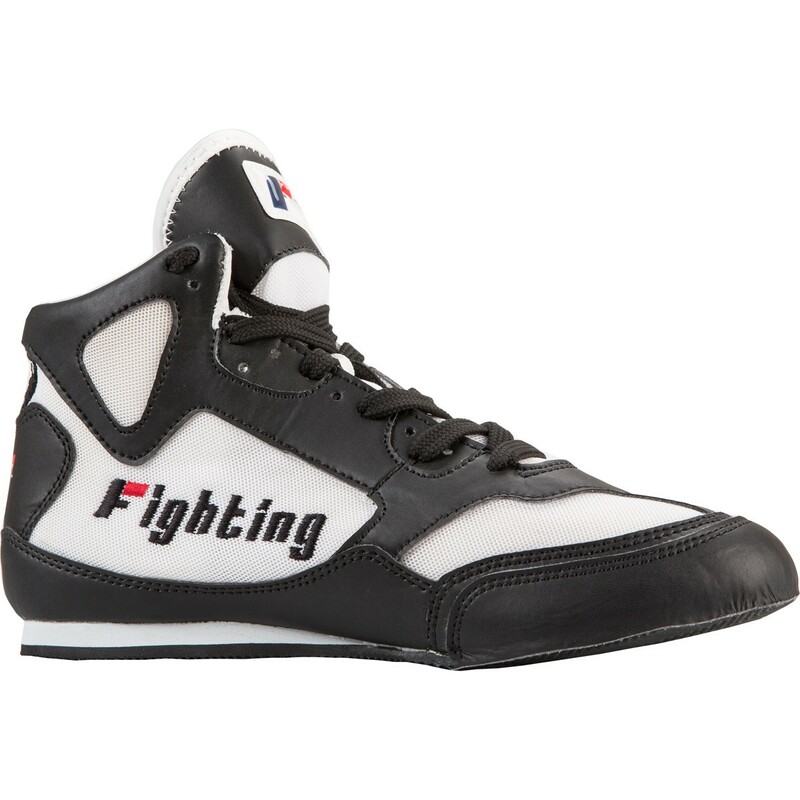 Stylized with brilliant two-color embroidery, embossed labeling, quality laces and accessories for a shoe befitting the Fighting name.